It's April, which means it's SHAKESPEARE MONTH! 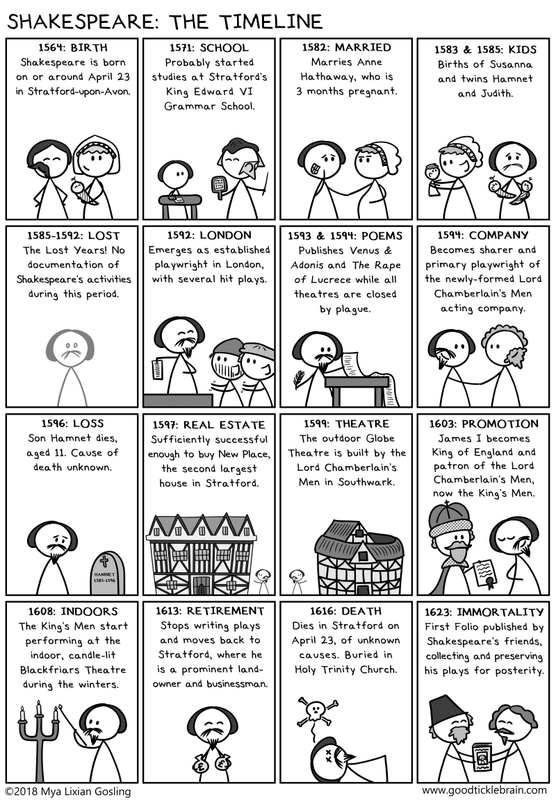 All month I'll be running a series of biographical Shakespeare comics. Now, I'd like to state up front that I'm not a Shakespeare historian: I'm a Shakespeare cartoonist, and the two are very different things. So if there's something glaringly incorrect, I apologize in advance. Tune in for the next installment on Thursday!